YORK, Maine — Giving to those in need can make even a stormy day a bit brighter. One family was all smiles in York on Thursday after receiving some help from police officers. The parents of 22-month-old Makayla and 10-month-old Kloey are fighting retinoblastoma, a rare cancer that starts at the back of the eye. Thanks to the group Cops Caring for kids with Cancer, the girls’ parents received two checks for $5,000 to help with medical expenses. It’s a gift the girl’s parents say will go a long way, especially right after the holidays. 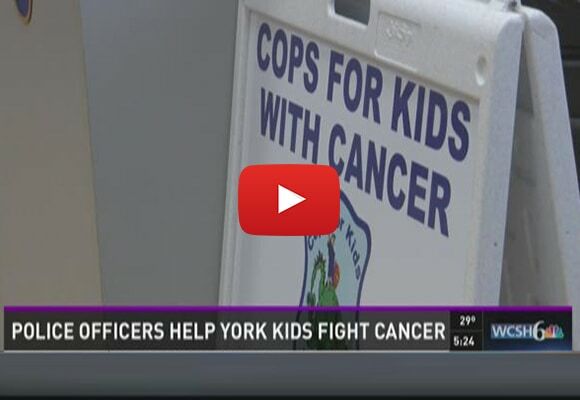 Since the group started, cops for kids with cancer has given more than $2 million to families in need.